/ Modified jun 14, 2012 1:32 p.m.
Arizona passed its own prohibition laws five years before the national ban. When Arizona first became a territory in 1863, the only thing about it that was dry was its deserts. The state’s first brewery was built just a few years after gaining territorial status, and it held out longer than any other state or territory in a nationwide push to introduce compulsory temperance education in schools. As arid states go, Arizona was pretty wet. But things took a drier turn when statehood arrived for Arizona on February 14th, 1912. 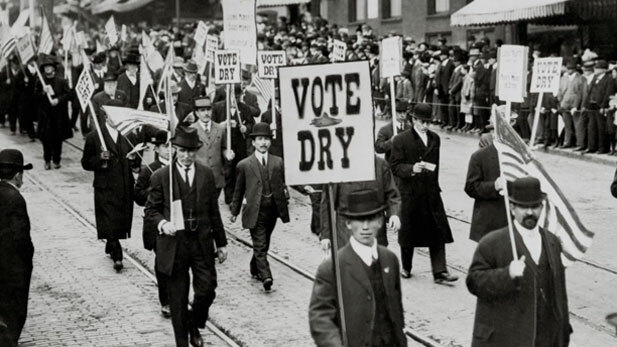 At that time, individual states, counties and cities throughout the U.S. had the option of voting themselves “dry."